The most underrated character on the Friends? Food. 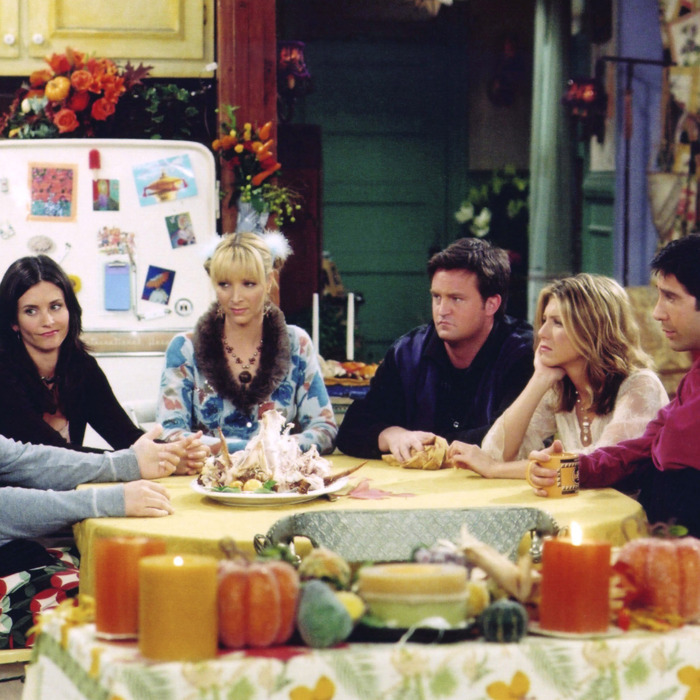 So, we wondered, how many times did Monica, Rachel, Joey, Ross, Phoebe, and Chandler sit down and eat together? Obsessive? Maybe. A challenge we cannot ignore? Absolutely. The qualifying rules here are simple: “Meals” count as breakfast, lunch, dinner, or snacks, and at least one Friend must be present for each. Central Perk is out of bounds since it’s an entity unto itself, and if a meal is implied (like it was just finished or about to begin), it’s thrown into the mix, too. Dates count, takeout counts, and Mike (Paul Rudd) stuffing his face with cheese counts as well. And yes, wine counts as a meal, as all adults know. Let the breakfasts and sandwiches commence. Is this not enough Friends for you? We have a ton more at our Friends Countdown.